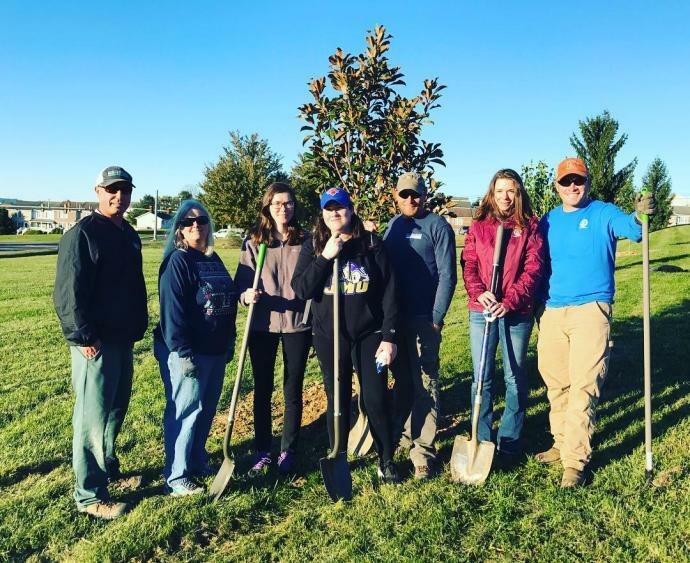 Volunteers and city staff planted 20 trees at Thomas Harrison Middle School on October 4, 2018. 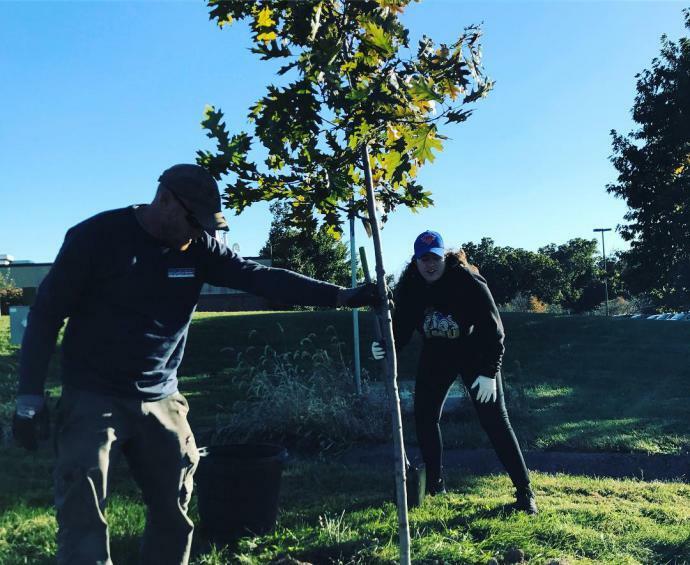 The trees were planted along the sidewalk as well as the road leading up to the middle school and will provide shade, stormwater uptake, and habitat for native fauna. The tree planting team included Headwaters Master Naturalists, James Madison University students, and city staff.